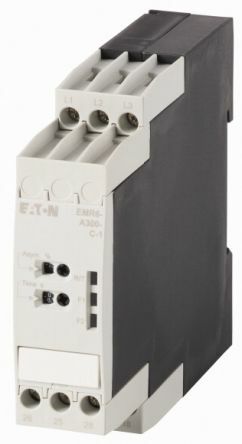 We offer three types of control relays from a range of brands including Phoenix Contact, ABB, Siemens and Omron. If you're looking to control temperature, voltage, current or frequency, you'll find the products within monitoring relays. For all of your signal conditioning and conversion requirements, visit our signal conditioning range. What is a control relay? A control relay is basically an electrically operated switch. How does a control relay work? They work by opening and closing a switch to allow power to flow through a coil to conduct electricity. The coil does not actually come into contact with the switch during this process. What types of control relays are available? 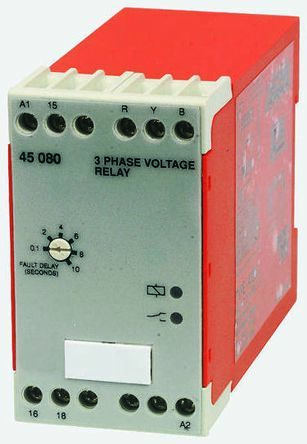 Impulse relay - a type of latching relay that transfers the contacts with each pulse. Monitoring relay - a protective control device for monitoring and receiving input signals, and outputting an alarm signal if a threshold is reached. Signal conditioning - a device that converts one type of electronic signal into another type of signal. 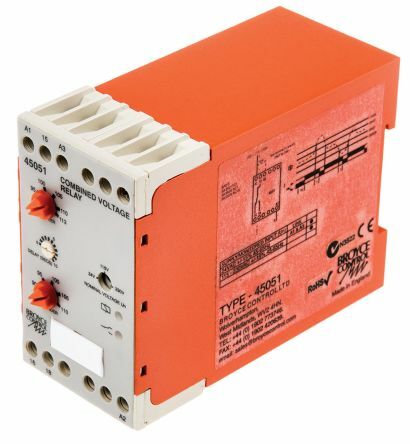 What are the uses of a control relay panel? Control relay panels are used for the control and monitoring of electrical equipment such as transformers, generators and circuit breakers in industrial systems and environments. What is the function of an undervoltage control relay? 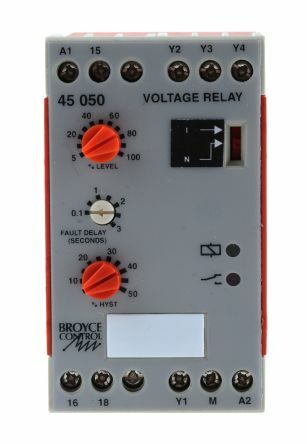 A relay will trip the breaker circuit if it detects an abnormality. An undervoltage (UV) relay will activate if the voltage is lower than a prescribed value, and stay like that until it reaches the necessary voltage. 3 Phase Voltage Monitoring Relay with NO/NC Contact Configuration. Features & BenefitsIncorrect Phase SequencePhase lossPhase undervoltage (0.6 x Un)Adjustable fault delayLED indicationWrite on ID tabDimensions: H78 x W45 x D99mm. Multi rangeAdjustable hysteresisLatching facilityAdjustable fault delaySwitchable relay inversionLED indicationWrite on ID tabDimensions: H78 x W45 x D99mm. Adjustment for upper and lower trip levelsMonitors own supplyUser-selectable nominal voltage: 24/115/230 V acTime delay (from fault) with adjustable setting"Power On Delay" (Td): 2 sLED indication for supply and relay statusDimensions: H78 x W45 x D99 mm.